From operating a single piston Cessna to 9 turbine-powered aircraft, Associated Mission Aviation (AMA) has grown and developed tremendously over the years. Amazingly enough, the beginnings of AMA can be traced all the way back prior to Word War II. 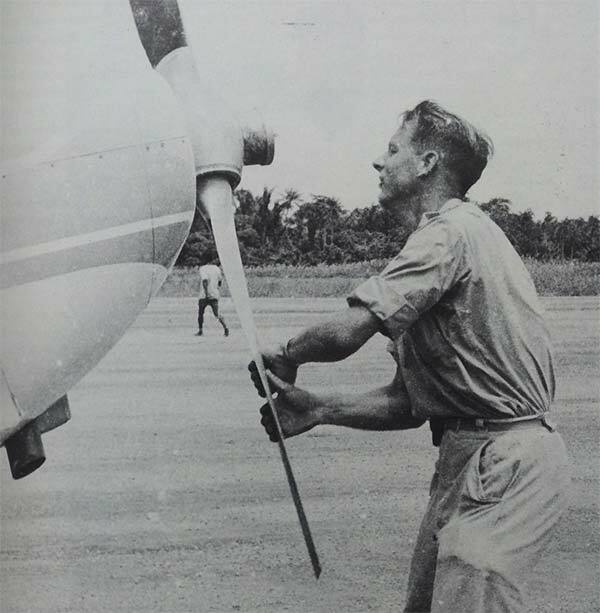 As the priests and nuns of the Catholic Church were carrying out their mission to convert, educate, and care for the local people in what was then Netherlands New Guinea they soon realized that air transportation would provide them with much quicker and safer access to remote villages in the interior of the island. In October 1935, the first formal meeting was held in Amsterdam to officially discuss a mission plane. Donations of time, money, and office space began to trickle in, but it was not until September 1945, that the drive for a mission plane was begun in earnest. Finally, on May 23, 1959, the first mission plane arrived in Sentani. During the early days the planes were flown by Franciscan priests, who were selected and sent to flight school overseas. Despite the priests' extraordinary dedication to their mission, aviation, and the local people, it was soon decided, after a couple of accidents, that perhaps the priests should concentrate solely on their priestly duties, and that professional pilots be hired to do the flying. The first professional AMA pilots were trained by KLM Royal Netherlands Airlines, and thus began a commitment to professionalism that continues to this day. We have flown 67,000 hours, covered 13,400,000 km (8,375,000 miles), transported 120,000 passengers, and moved a hefty 15,500,000 kg (34 million pounds) of cargo. 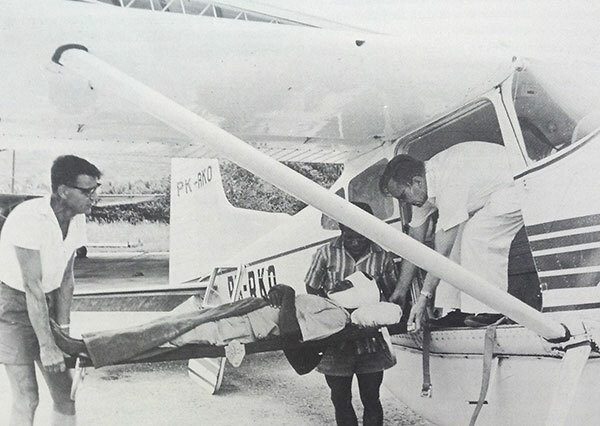 AMA Pilot Franciscan Priest Henk Vergouwen, and AMA's first Cessna 180. Priests, as well as missionaries from other denominations, played a key role in the development of airstrips in the interior of Papua. Usually after deciding to establish themselves in a new area of the island these individuals would work to gain the trust and respect of the local people. After they learned enough of the local language, the huge task of building a runway was often the next step. In 1960, the first air drop of supplies by an AMA aircraft to build a runway took place in the Paniai region, at the village of Modio. Today many of the local people, all around Papua, are themselves expert runway designers and are building new runways on their own all the time. In 2014, AMA opened eight new runways at villages previously inaccessible by air. Some of these new sites are in areas that before required up to a 3-day walk to reach the closest runway. Though established under the auspices of the Catholic Church in Papua, AMA is now fully self-supporting organization, operating under a Part 135 charter certificate out of 6 bases around the island, and is still fully committed to do its part to serve the people of Papua in remote areas. The arrival in Sentani of a sick villager, flown out in one of AMA's Air Medevac flights (ca. 1965). 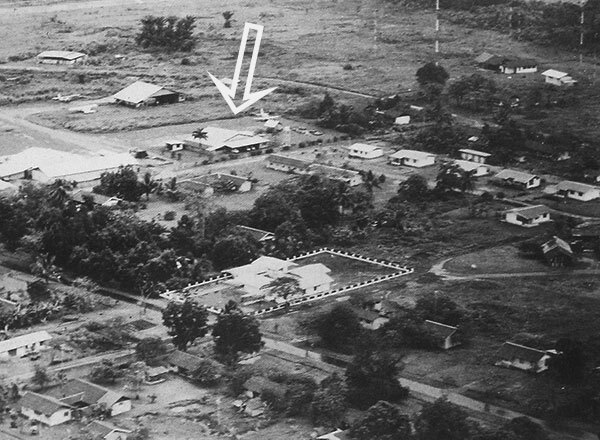 Sentani Airport in the mid-1980's. The arrow shows AMA's hangar.